Product prices and availability are accurate as of 2019-04-23 02:04:44 EDT and are subject to change. Any price and availability information displayed on http://www.amazon.com/ at the time of purchase will apply to the purchase of this product. 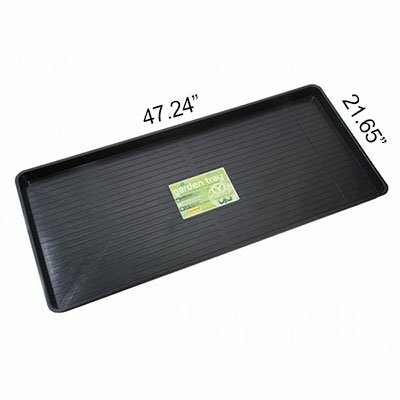 This tray has proved popular when used by private and commercial gardeners alike as a large irrigation table for keeping a multitude of potted plants watered. The tray can be filled with grit or capillary matting if preferred. 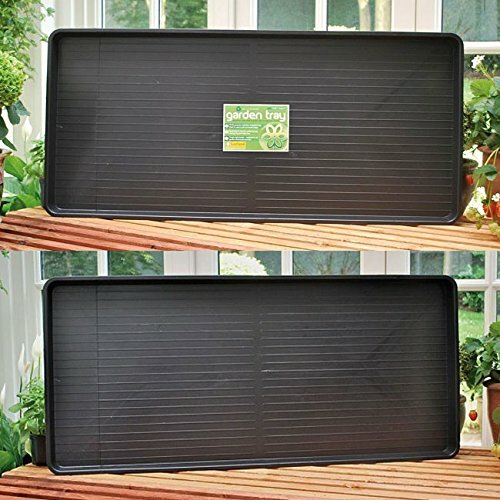 Its sheer size means that by simply filling the tray with a depth of water, a large number of plants can be watered in minimal time. The internal capacity is 28 liters (about 7.4 gallons). A series of shallow horizontal ridges on the internal base of the tray aid in drainage. The tray will fit perfectly on most greenhouse staging.